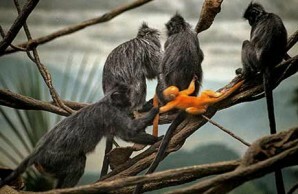 In a silvered langur group in New York City’s Bronx Zoo, a baby’s golden hair—a distinctive juvenile trait—attracts attention from females in the group, which will take the baby from its mother and carry and groom it until the mother retrieves it. We cram our bodies into the plane’s narrow seats, elbow-to-elbow, making eye contact with nods and resigned smiles as we yield to latecomers pushing past. Most ignore the crying baby, or pretend to. A few of us even signal the mother with a sideways nod and a wry smile. We want her to know that we know how she feels, and that the disturbance she thinks her baby is causing is not nearly as annoying as she imagines—even though we can tell (as can she) that the young man beside her, eyes determinedly glued to the screen of his laptop, does indeed mind every bit as much as she fears. Thus does every frequent flier employ our species’ peculiarly empathetic aptitude for intuiting the mental states and intentions of other people. Cognitive scientists and philosophers have long called this awareness of others’ inner life “theory of mind,” but many psychologists now refer to it as “intersubjectivity,” a broader concept that roots our sophisticated skill at mind reading in the capacity to share in the emotional states and experiences of others. Whatever we call it, this ability to divine and care about the mental experiences of others makes humans more adept at cooperating than other apes are. Imagine what would happen if one were traveling with a planeload of chimpanzees. We would be lucky to disembark with all our fingers, testicles, and toes attached, and with the baby still breathing and unmaimed. But human passengers fill some 2 billion airline seats every year and submit to being compressed and manhandled, with no dismemberments reported yet! Along with our 1,350-cubic-centimeter brains and capacity for language, such unusually well-developed impulses to cooperate have helped propel our success as a species. But why did humans become such “other-regarding” apes? 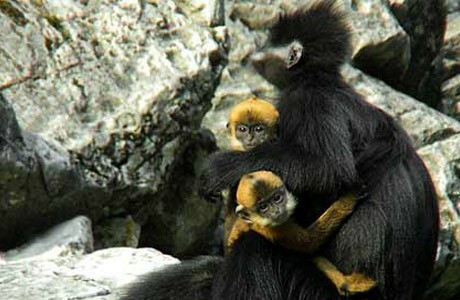 A female Francois’s langur nurtures what look like twins, but only one of the infants (which are ninety-one and seventy-four days old) is hers. In this species, females other than the mother (allomothers) routinely care for, carry, and may even suckle any infants in their group. Normally, the infant’s coat changes into full black within 130 to 140 days, but recent data suggests that the first-born of young females take a bit longer to mature and still have golden fur on the head at 150 days old. Although the genus Homo arose before the beginning of the Pleistocene epoch (1.8 million to 12,000 years ago), H. sapiens—anatomically modern humans with upright bodies and big brains—evolved only within the last 200,000 years. And behaviorally modern humans, capable of symbolic thought and language, emerged more recently still, within the last 80,000 years. Most evolutionists have assumed that our unusually sophisticated capacities for attributing mental states and feelings to others coincided with those late-Pleistocene behavioral transformations, and corresponded with the need for members of one group to get along so as to outcompete and defend themselves against other groups. But there are difficulties with that scenario. There is abundant archaeological evidence for early warfare, but none dates back much before 12,000 years ago, when people began to settle down and live in more complex societies with property to protect. Moreover, genetic evidence suggests that our foraging ancestors in the Pleistocene lived at low densities. Although individuals no doubt fought and sometimes killed one another, there is no evidence that whole groups fought. More to the point, if the drive to outcompete members of opposing groups was the source of our hypersocial tendencies, why didn’t selection favor even greater and more Machiavellian intelligence, better mind reading, and better capacities to cooperate against hostile neighbors among the ancestors of today’s chimpanzees? Chimpanzees are competitive, dominance-oriented, aggressive, and reflexively xenophobic: wouldn’t they have benefited just as much, or more, from being able to cooperate to wipe out competing groups? Consider, however, an alternative explanation, the possibility that our empathetic impulses grew out of the peculiar way that children in the genus Homo were reared. I believe that at an early stage in human evolution, our bipedal ape ancestors were increasingly cared for and provisioned not just by parents but also by other group members, known as alloparents. 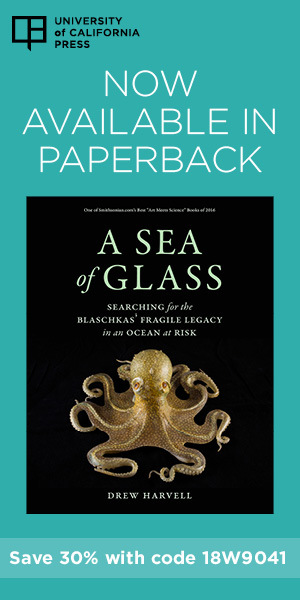 In my view, cooperative breeding (as sociobiologists term the reproductive strategy in which alloparents help both care for and provision young) came before big brains. 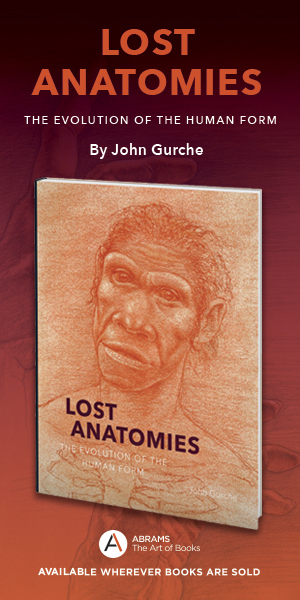 I believe it first emerged among upright apes that were only beginning to look like us, and further evolved during the Pleistocene in African H. erectus (also called H. ergaster)—creatures that did not think or use language to communicate the way we do. Alloparental care and provisioning set the stage for children to grow up slowly and remain dependent on others for many years, paving the way for the evolution of anatomically modern people with even bigger brains. It was not the other way around: bigger brains required care more than caring required big brains.